Judy Nunn has sold over one million books worldwide. 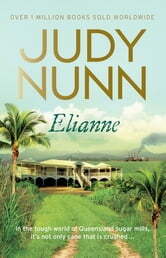 Elianne, her new bestseller, is a sweeping story of wealth, power, privilege and betrayal, set on a grand sugar cane plantation in Queensland. In 1881 'Big Jim' Durham, an English soldier of fortune and profiteer, ruthlessly creates for Elianne Desmarais, his young French wife, the finest of the great sugar mills of the Southern Queensland cane fields, and names it in her honour. The massive estate becomes a self-sufficient fortress, a cane-consuming monster and home to hundreds of workers, but 'Elianne' and its masters, the Durham Family, have dark and distant secrets; secrets that surface in the wildest and most inflammatory of times, the 1960s. For Kate Durham and her brothers Neil and Alan, freedom is the catchword of the decade.Young Australians leap to the barricades of the social revolution. Rock 'n' roll, the Pill, the Vietnam War, the rise of Feminism, Asian immigration and the Freedom Ride join forces to rattle the chains of traditional values. 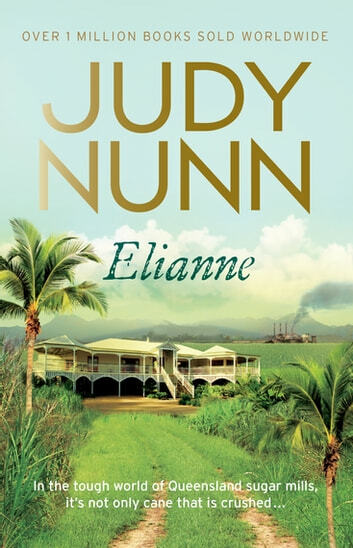 Judy Nunn is a new author for me ,I enjoyed it very much.The History of the suger cane in Bundaberg was spot on .the characters came a live as you got to know them. As always Judy writes with such empathy you feel as if you are in the midst of the story. Simply can't put it down! !